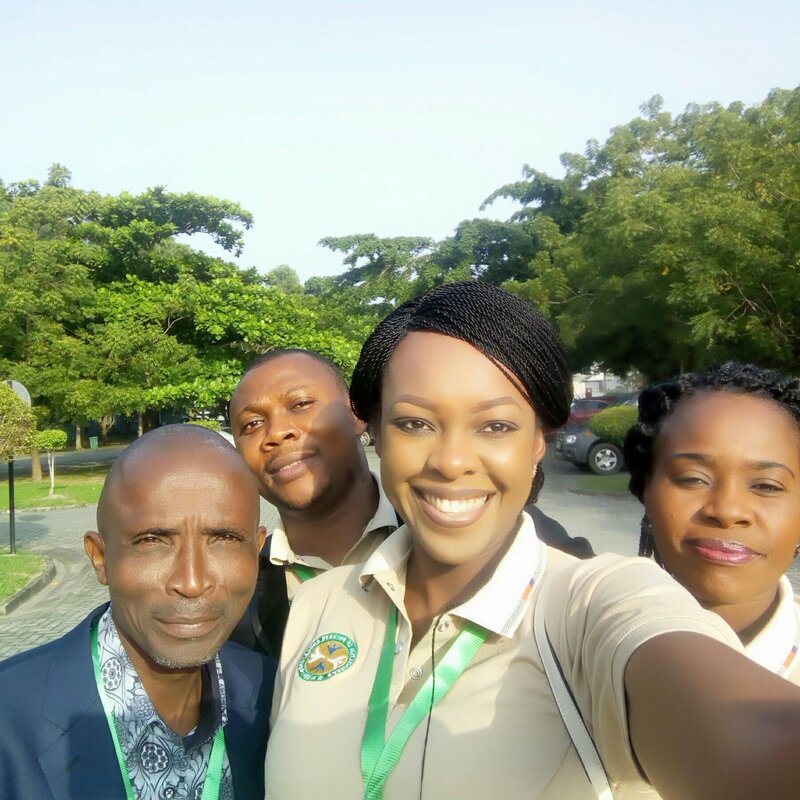 I am typing this on my way home after a very invigorating time at the 2017 APEN (Association of Ptivate Educators in Nigeria) Conference. If you follow my twitter handle @dezaart, you will notice that for the past three days I have been on ‘APEN’ mode. Attending a conference is one of the very best ways to learn the latest about what your colleagues in education and training are doing. If you want to interact with the passionate practitioners who are the groundbreakers making real and effective changes today – this is the place to accomplish those things. This was my third APEN Conference and I am still amazed by the diversity of research topics on education. I enjoyed networking with peers from a variety of schools and colleges as well as those from different countries. The speakers…well informed. 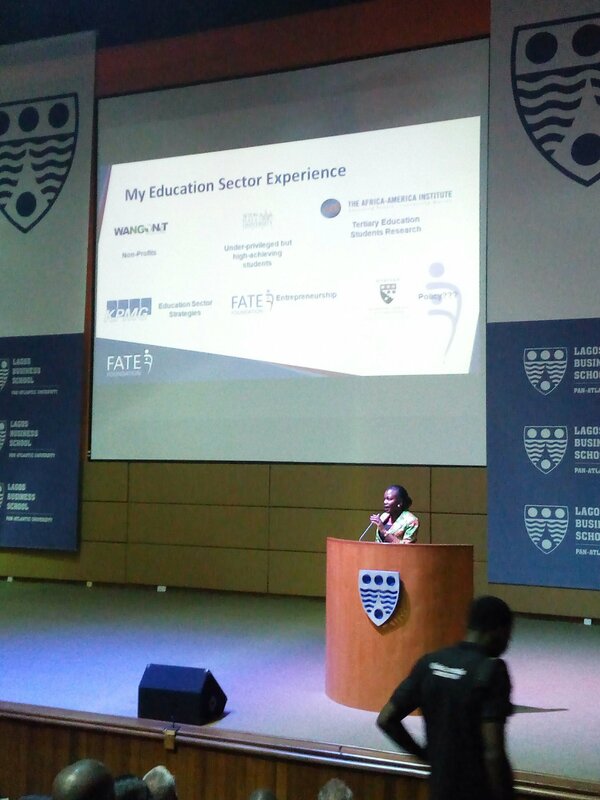 My personal favourites were Dr. Salami, Prof Kate Azuka and Mr Lanre Olusola (The Catalyst). 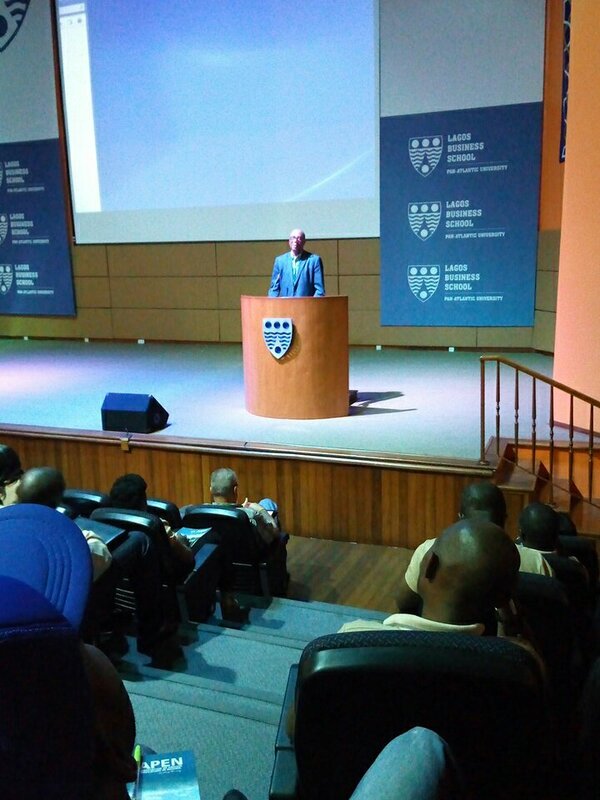 Dr Salami’s plenary session was mind-blowing. He reiterated that it is not always easy to change a student’s life, which is why it takes a great teacher to do so. Some just need an extra push like the student whose math grade is just a few points shy from the A grade; others may be going through something troubling in their personal lives and need someone to talk to. Whatever the student needs to help them excel, a life-changing teacher has to be there for them. As some of the most influential role models for developing students, I understand better that teachers are responsible for more than just academic enrichment. If you want to be a great educator, you must connect with your pupils and reach them on multiple levels, because the best teachers are committed to their students’ well-being both inside and outside the classroom. By forging strong relationships, educators are able to affect virtually every aspect of their students’ lives, teaching them the important life lessons that will help them succeed beyond term papers and standardized tests. Now to Lanre Olusola. 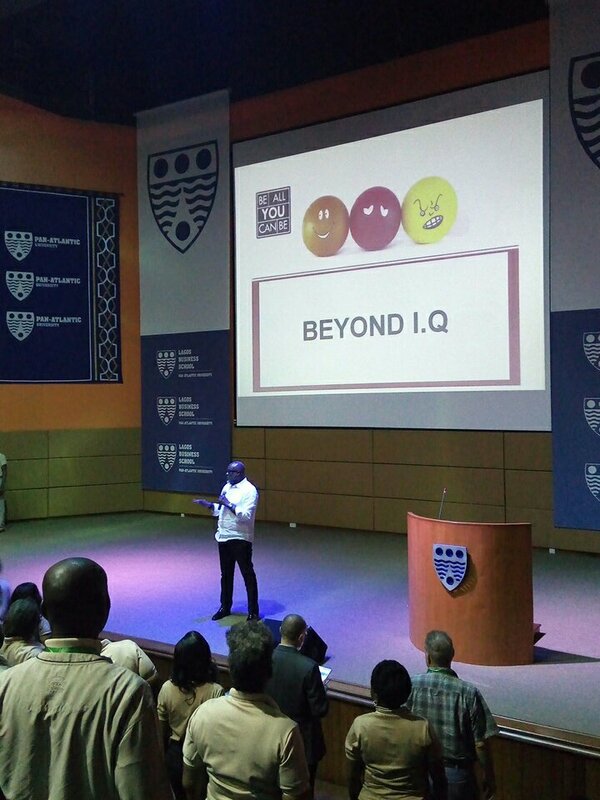 I think this was the overall best plenary session (Titled: Beyond IQ). I did learn that teachers’ emotional skills (intelligence) are important in helping them avoid burnout, increase well-being, and create a positive learning environment. Teachers can start developing their emotional intelligence by cultivating self-awareness. When we are mindful of our emotions, we feel more in control and make better decisions. It was an unforgettable learning experience. 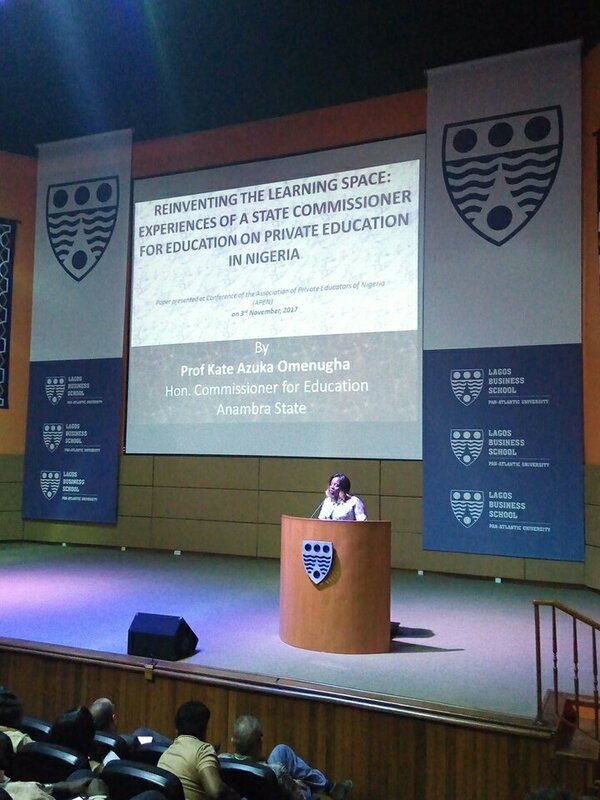 There was a special appearance by Prof. Kate Azuka (Hon. Commissioner for Education, Anambra state). This amazon has an amazing sense of humour. Another session I thoroughly enjoyed. It’s so obvious she is passionate about what she does. I love how she explained that our contemporary learners deserve learning spaces that meet their individual and collective needs. To meet this challenge, educational leaders must provide physical and cultural environments that are empowering and engaging. Today’s learners have rendered the traditional classroom obsolete, since it oftentimes features students sitting in rows of desks while the instructor stands in the front of the room at a chalkboard or whiteboard. This traditional space must be replaced with one that is engineered specifically to support thinking, alter teaching practices and strategies, and increase student engagement and achievement. 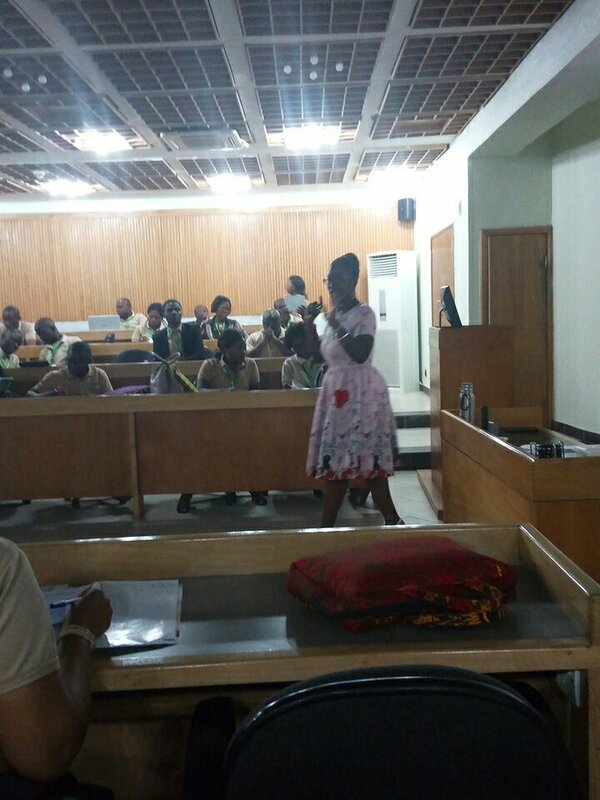 Another plenary session was facilitated by Mrs Adenike Adeyemi. Honestly, I was dazed at first by the business terminologies, but the lecture transitioned nicely and I got the whole gist. Now, there’s absolutely no doubt in my mind that education is a business. After all, we’re selling a product (quality education) for a price (tuition) to customers (students) who can choose to buy instead from our competition (other schools). We hire employees (faculty and staff), run a payroll, expend resources to advertise and promote our product, manage our brand, and maintain physical facilities. Seems pretty straightforward, yes? I enjoyed some of the breakout sessions, too. For instance, Mr Billy Oladimeji, speaking on The Dearth of Transformational Leadership in the 21st Century (The Learning Intervention) did a good job explaining that the very best teachers behave very much like the very best leaders. In other words, successful teachers are very much like successful leaders – they both engage in transformational behaviours. I now know for sure that outstanding teachers, whether or not they are actually “leaders,” play a key role in the development of future leaders. 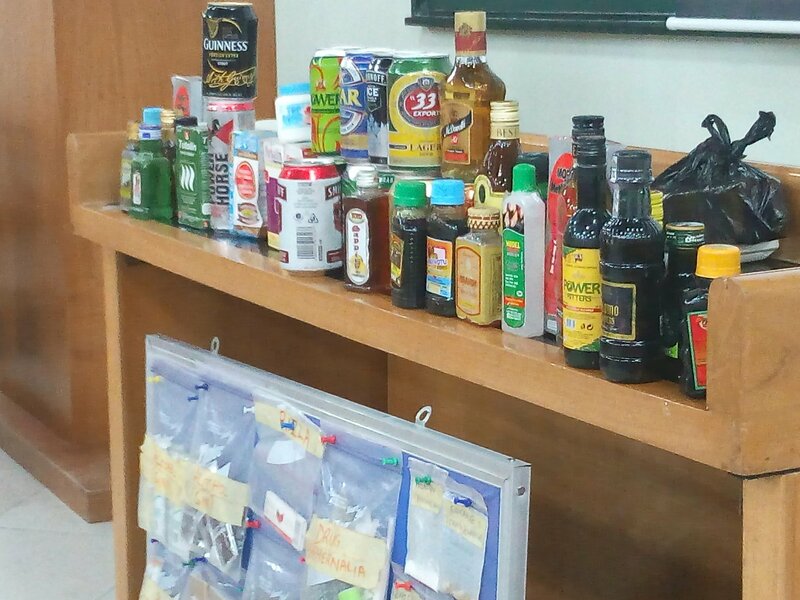 Great presentation, Mr Billy. Mr. Dotun Adedeji, speaking on Substance Abuse (The Looming Epidemic), emphasized that as educators, we CAN play a critical role in helping our students stay drug- and alcohol-free. He urged us to address this subject with our students early and often, and that some approaches are far more effective than others. Too many schools only talk about drug and alcohol use AFTER something tragic happens—after a car crash or a lost life. Prevention is everything. I totally enjoyed the lecture. 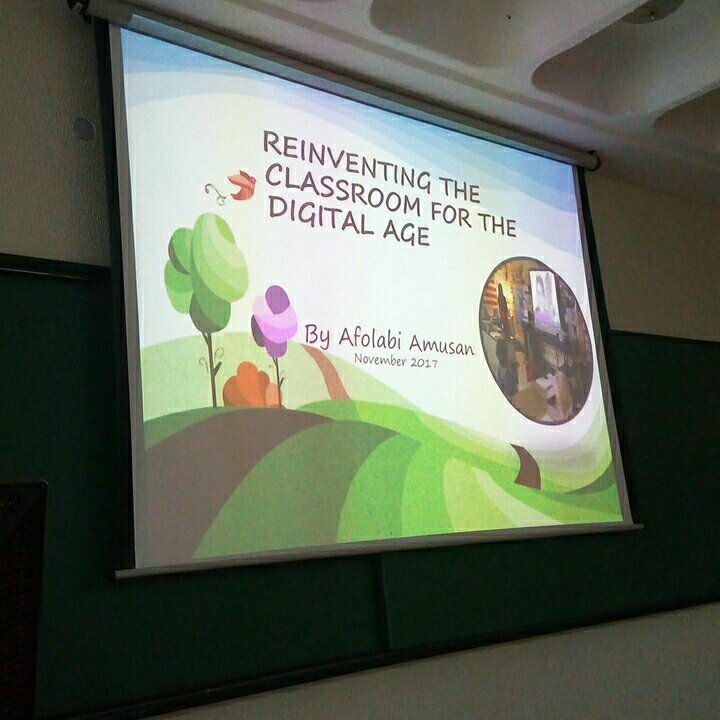 Moving on to Mr. Afolabi Amusan’s class (Reinventing the classroom for Digital Age)…I believe we are at the dawn of a new era in education. What is becoming possible is a revolution – a transformation of the way teaching is done, with the computer taking the role of the lecturer, the teacher becoming a coach, and students taking responsibility for their own learning. The digital tutor of the future will do knowledge transfer better than a human can. If the student likes reading and lectures, it will teach in a traditional way – through e-books and videos. If not, it will teach through games, puzzles and holographic simulations. What better way to learn history, culture and geography than by being there virtually and experiencing it? I also believe the role of the human teacher will be that of guru: to teach values such as integrity, teamwork, respect, caring and commitment; to be a guide and mentor. And students take ownership of their education. This future isn’t as far away as you think. This was a game changing class. 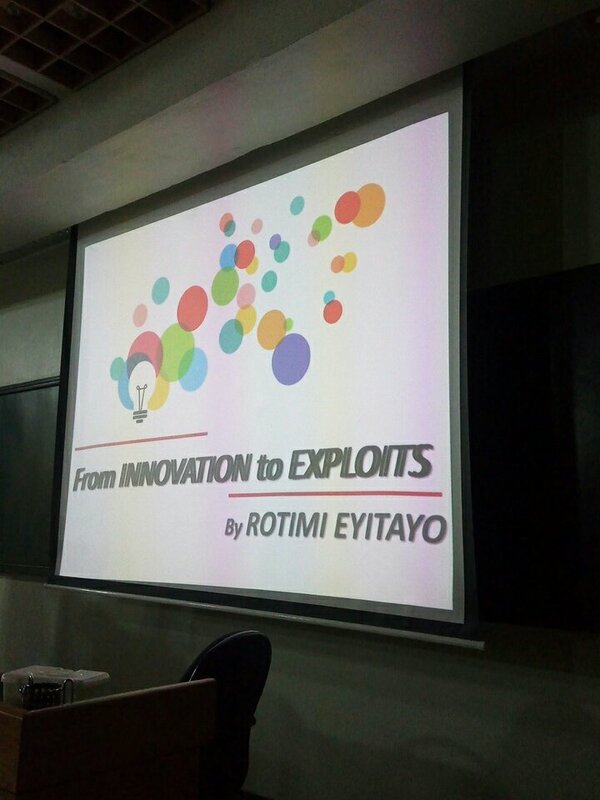 Then to Mr Rotimi Eyitayo (facilitating ‘Innovation to Exploits’)…From this energetic teacher, I did learn that there are, of course, innovations that spring from a flash of genius. Most innovations, however, especially the successful ones, result from a conscious, purposeful search for innovation opportunities, which are found only in a few situations. I like how he used stories to stress that in innovation, as in any other endeavor, there is talent, there is ingenuity, and there is knowledge. I am now aware that when all is said and done, what innovation requires is hard, focused, purposeful work. If diligence, persistence, and commitment are lacking, talent, ingenuity, and knowledge are of no avail. 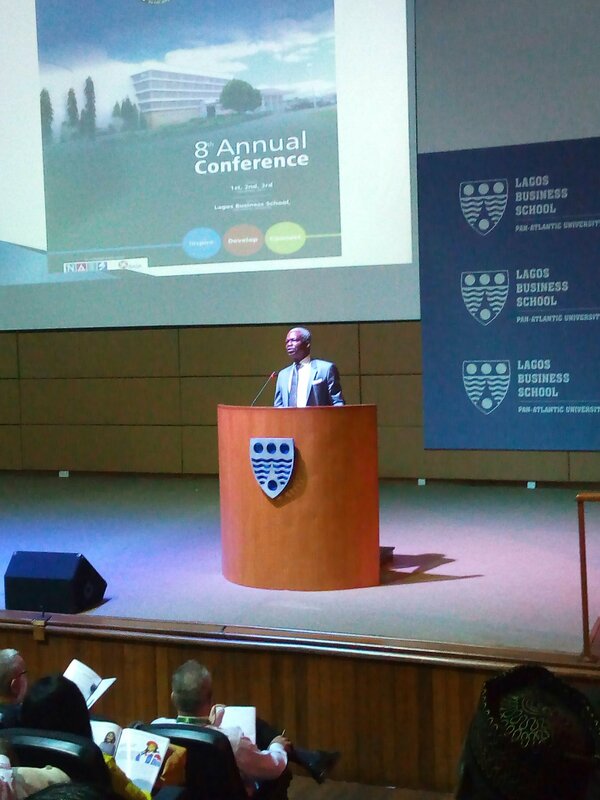 Dr Tunji Abimbola facilitated the last plenary session. It was good he did. He put us all in reflection mode. 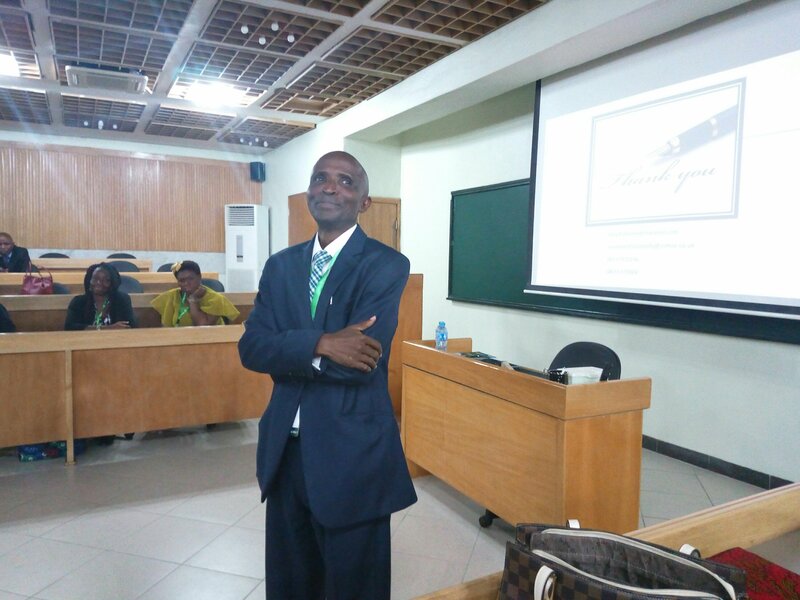 Dr Tunji’s lecture made me ask myself…WHY DO I TEACH? I teach because, for me, it’s the most effective and most enjoyable way to change the world. That’s the bottom line: we need to change this world, and this is the way I’m choosing to do it. I hope I never forget that teaching allows me to work on hearts and minds, to guide people in becoming empowered, literate, engaged, creative, liberated human beings who want to join in this effort to change the world. I will remind myself of these reasons, and all the others, quite often, because teaching kids, and even adults, is hard – really, really hard. It is a hard but important calling. So there…you can tell I had a frigging amazing experience, yes? Powerful! Impactful! 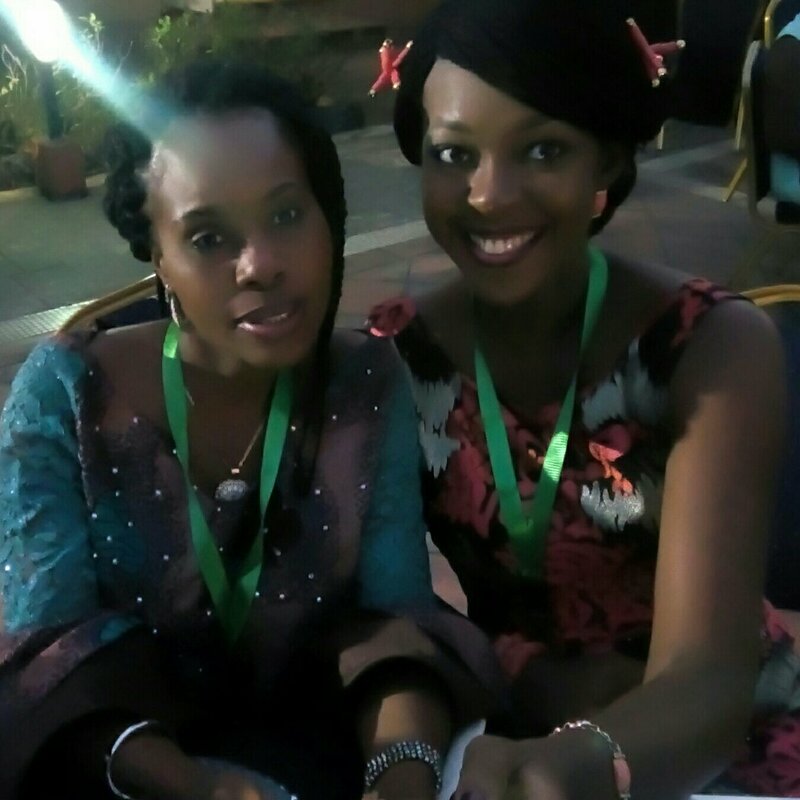 It was truly an excellent conference to network with professionals who share the same interests. The presentations are informative and allowed for audience participation. It was also an excellent opportunity to meet with peers, share ideas and make new contacts. In this fast paced world, we only survive through networking with others and sharing our knowledge. The networking and up-to-date practical information was unbelievable. 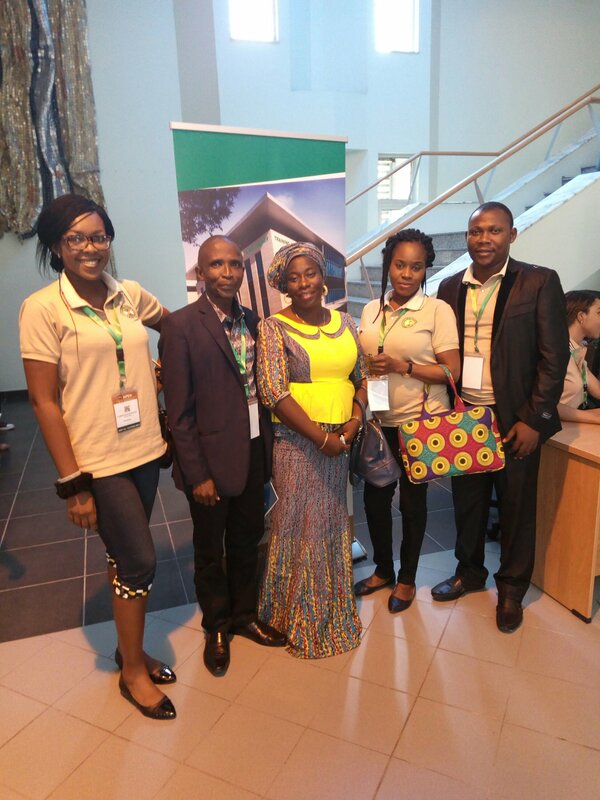 This was the most beneficial, informative educational conference (of ANY kind) that I have ever attended in Nigeria. You see, it is always helpful to take some time off from your regular schedule and learn about other projects. We are all highly creative people, and I am always intrigued by the different approaches people take to solve problems in our field, as well as what issues they are focusing on. There are many areas to explore. Sometimes the most obvious is hard to see, unless we change our view point by going to a conference like this. 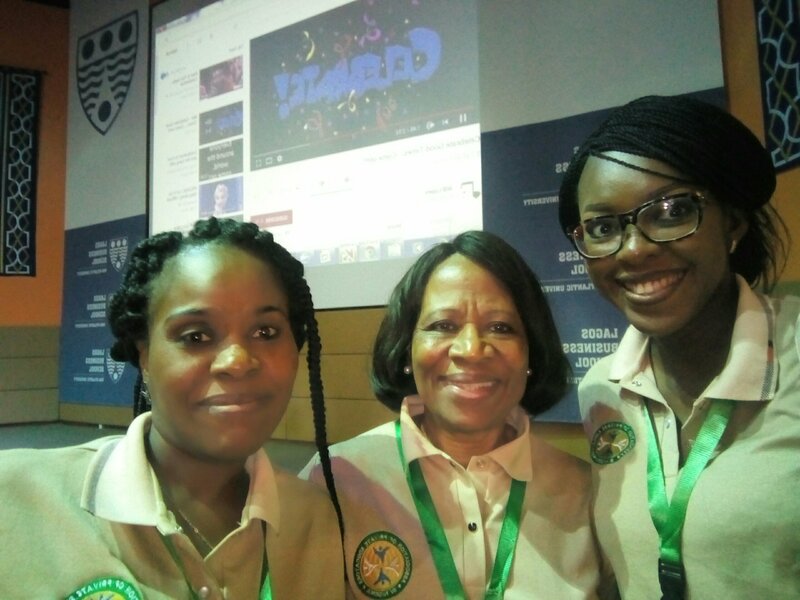 APEN conference is indeed world class when it comes to cutting edge instructional research, realistic integration application and an atmosphere that rejuvenates and invigorates (yes, it held at THE LAGOS BUSINESS SCHOOL). But this post wouldn’t be complete without saying something about Dr Olufemi Ogunsanya, APEN Chairperson. Oh my days!!! There are a lot of great women doing great things, and they deserve to be recognized! I believe every women should possess the desire to achieve more, and sometimes seeing a great example provides the necessary motivation to do so! 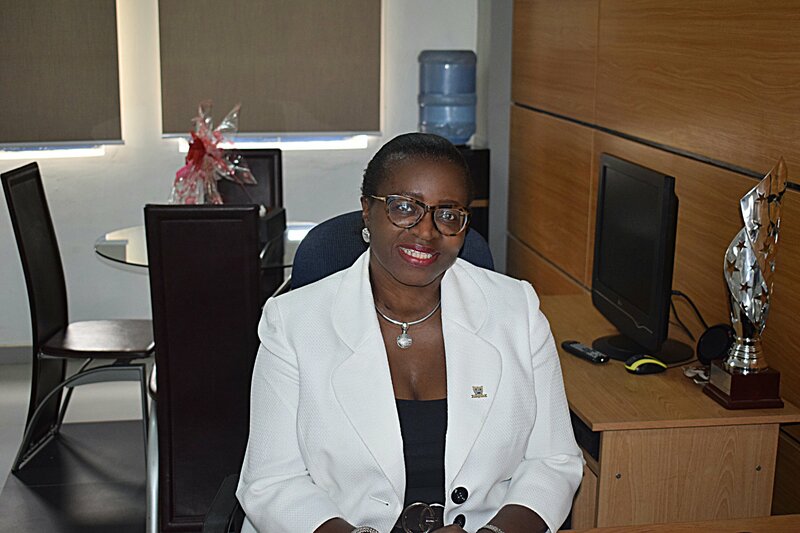 Dr Ogunsanya, you are a great woman. Keep doing great things. Your conference is a perfect size; offerings are ample but not overwhelming; people are friendly and willing to discuss and engage in a productive way. It is possible to attend multiple presentations devoted to one area of interest or to select sessions that provide an overview of new developments in the field. I always come back to my school with new ideas and re-dedication to my classroom. The enthusiasm of presenters and conference participants is both infectious and supportive. Many thanks to you and the amazing APEN planning commiittee. The venue, menu (ahhhhh, let’s leave this for another day. Three course delights! ), the gala night (Comedian Forever cracked me up, the karoke was cool especially the Que Sera Sera rendition from Mrs Ibru (the woman can singggggg) to the Salsa dance that broke my waist (never again)) , the entire coordination (our two comperes Mr Jedras and Mr Obasan kept to time to the T. Perfect). All under the leadership of another amazing woman…Mrs Fowler-Amber. I salute you all. Now…the last but definitely NOT the least…Drumroll please…for Mrs Funso Adegbola. This woman here…if I start to talk, my brother, my sister ‘e no go end, I tell you e no go end’! She made this possible. 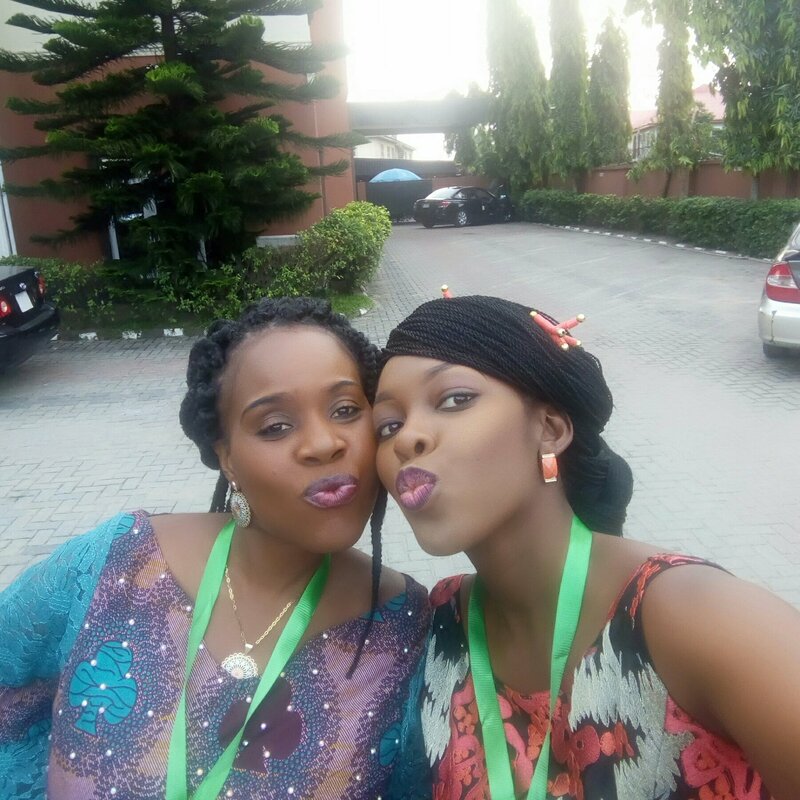 A boss with a difference, a mentor extraordinaire…She lets me be the best I can be. A true encourager in this school business. Aunty Funso, you know how much I love you, so permit me to skip my epistle about how much you mean to me. Allow me, however, to say THANK YOU for this and many more. I do love you. Dumebi Ezar Ehigiator (A proud Apen Delegate from The Vale College, Ibadan). 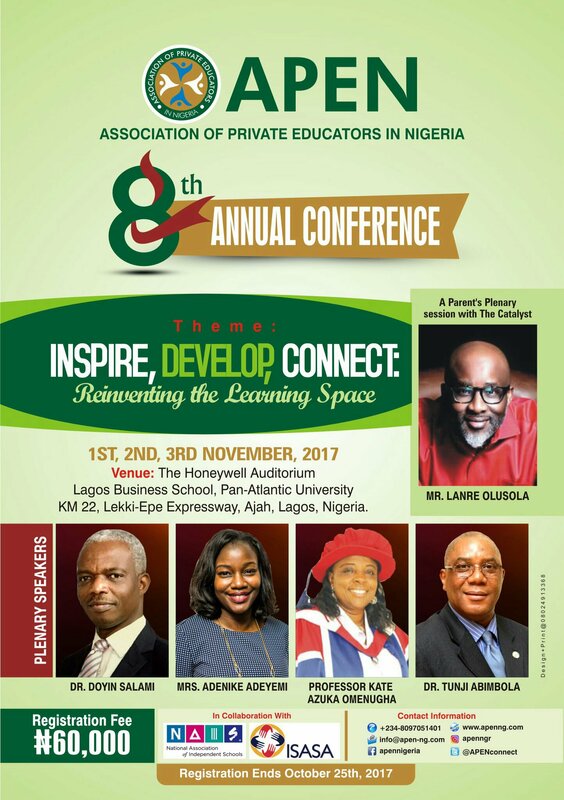 Posted on November 4, 2017, in Chalkboard and tagged Adenike Adeyemi, APEN, APEN conference, Doyin Salami, Education, Great Teacher, Lagos Business School, Lanre Olusola, Olufemi Ogunsanya, Prof Kate Azuka, Professional Development, Teaching, The Vale College. Bookmark the permalink. 7 Comments. Ah feels like I was there. Its so obvious you had fun. This was very interesting to read. I have to attend next year. Thank you for this. All these great minds came for a teacher’s conference? I trip. I love Lanre. A true catalyst. I love this. Keep the fire burning. The way you show love for something is remarkable.I hope you get to say something nice about me someday. Well done! Your passion is undisguisable. All the best.